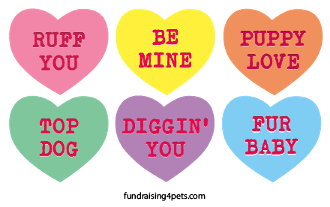 Conversation candy heart magnets that speak your love language: dog! A super sweet gift for Valentine's Day or any occasion! Each individual heart is 1.9" x 1.6"